There are people with great business ideas or those who want to take their things to the next level, a common challenge is how they some how face drawbacks that are mostly related to capital, precisely "the money" they need to kick-start their business ideas and make it a successful reality. If you are one of such persons. Taking loans usually solves this but NOT LOANS FROM YOUR BANK this time, trust me, many people don't like that "bank loan" approach, even if they do, to be eligible to take bank loans you must have gone through their outrageous requirements and criteria, they will surely request for collateral plus heavy bills you'll pay back as interests to them. 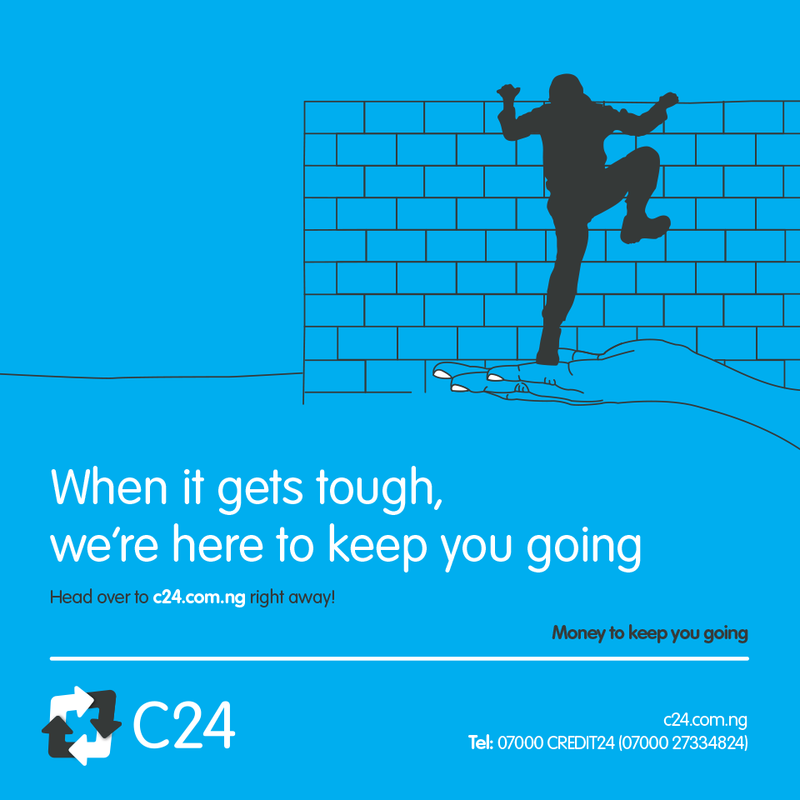 Now, what if I told you that you can get a loan without collateral in Lagos without all these hassles? 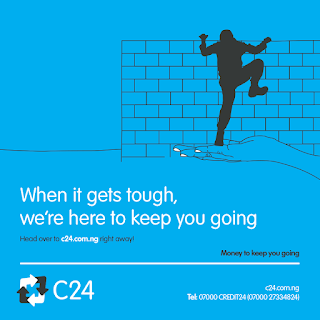 At C24 Limited, this company gives loans without collateral with an interest rate of only 4%. And to top it, application is done online. In fact, communication and processing can be completed without physically appearing at the company. Just get some documents ready and the company's courier will come pick it up for free. I repeat, free. 2. Your bank statement explains and decides how much loan you can take. The contract managers in-house will advise on how much you can access if you won't be allowed to take the normal fund you applied for. This is just to prevent defaulting since there is no collateral involved. So basically, your bank statement or salary is your collateral. 3. No charge backs. Just 4% interest rate and 4% one-time management fee (the management fee is paid only on the first month of repayment). 4. You choose how long you want to repay. It's that easy, so if you're interested, you should check them out here now.